Why Should You Buy Grass Fed Beef Instead of Grain Fed Beef? 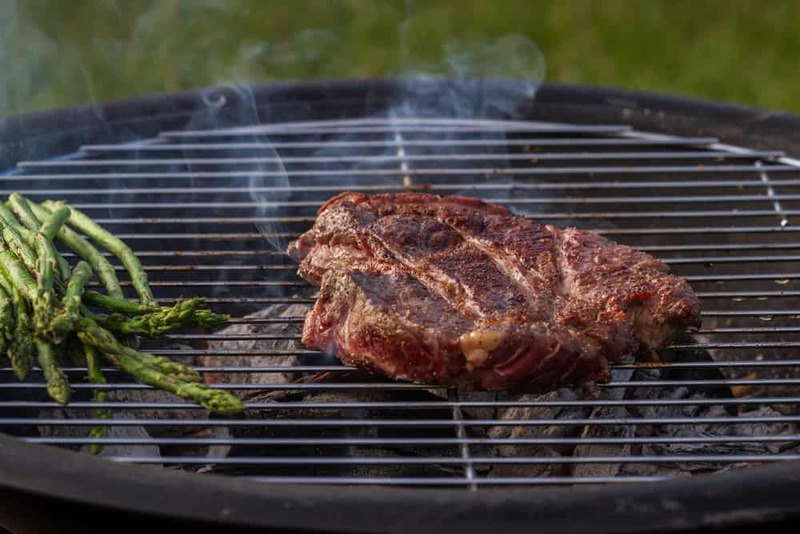 It’s BBQ season, so you’ve probably heard a lot of chatter lately about grass fed beef vs. grain fed beef, and you’re probably downright confused. I agree. It’s confusing! Everyone claims something, and grass and grain sound pretty similar, so what’s the difference? Today I’m going to help you understand why grass fed beef is what you should be buying. Most cattle start on a diet of milk (from their mother) and grass. The difference is that grain-fed cattle are then taken into a feedlot to be quickly “fattened up” for slaughtering. This grain feed typically contains corn, soy, and other supplements that are unnatural to a cow’s diet and this puts significant strain on the animal. By fattening them up this way, these types of meat have a much higher bad fat content and are actually higher in something called arachadonic acid, which promotes inflammation in humans. This leads to the link between cardiovascular disease and red meat consumption. Alternatively, grass fed beef actually has much lower levels of Omega 6s, and higher Omega 3s. If you’re still not convinced, a North Dakota State University conducted a study on the nutritional differences between grass-fed and grain-fed bison. The results of that study closely followed that of the egg studies. The grass-fed bison had omega 6 to omega 3 ratios of 4.0 to one, and the grain-fed bison had ratios of 21 to one. Lastly, I just want to touch on the Paleo diet, which is incredibly popular these days. Many people have jumped on the Paleo bandwagon, but what they don’t realize is that the diet emphasizes grass-fed meat, not just any old meat full of antibiotics and hormones. In my opinion, grass fed beef should still only be eaten in moderation. It’s a great source of protein, though, that is high in Vitamin B12, and heme iron, a particularly absorbable form of iron.